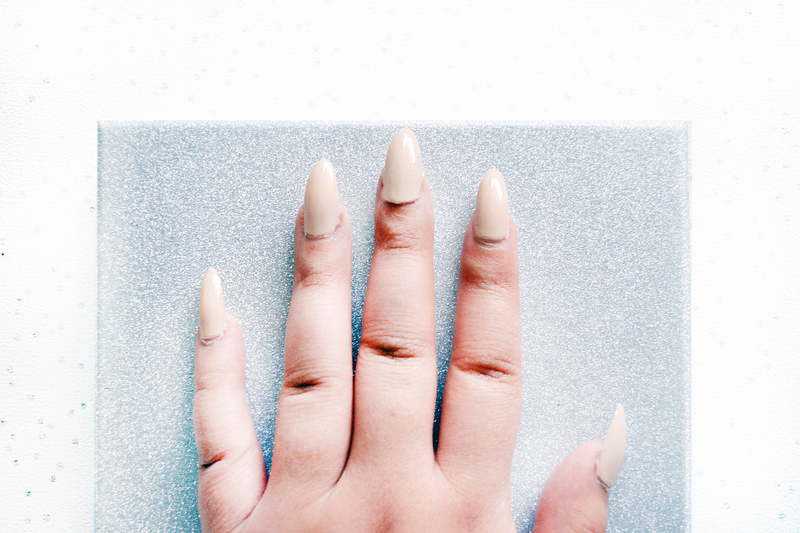 Step 2: Next apply a flesh-toned base colour to your nails. Something like Barry M's Lychee is perfect. 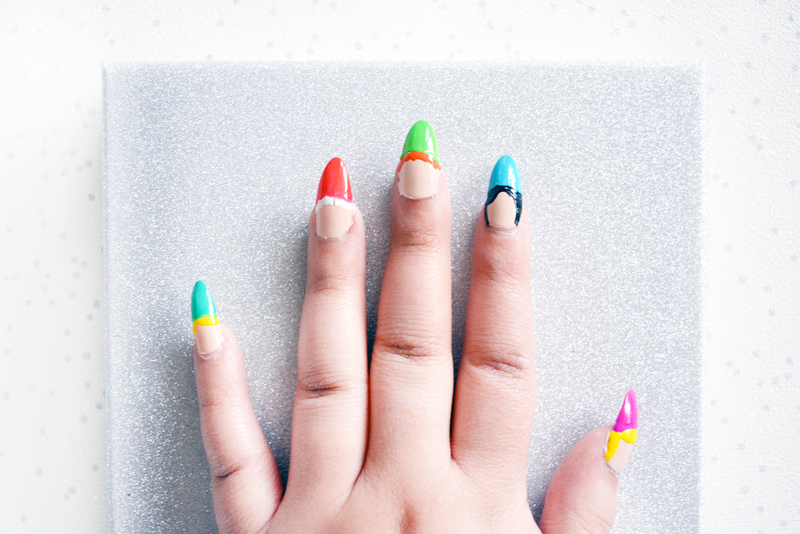 Step 3: For the next few steps you will need some nail art pens like THESE. 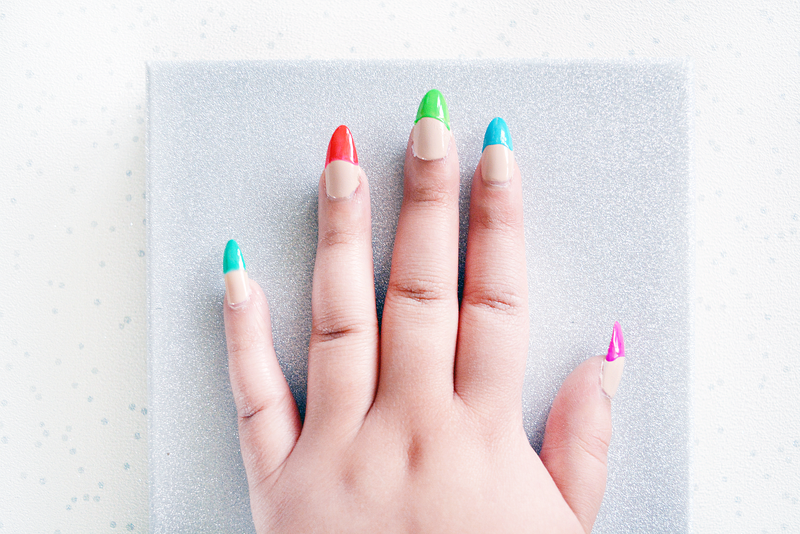 With your chosen colour draw an arch at the top of your nail and fill it in. This will become your elf's hat. Step 5: Next you need to add some detail to the hats. For Buddy's I simply but a yellow stripe and for the rest I just experimented. If you haven't got a steady hand a stripe across the middle of each hat is pretty easy to do and looks great! 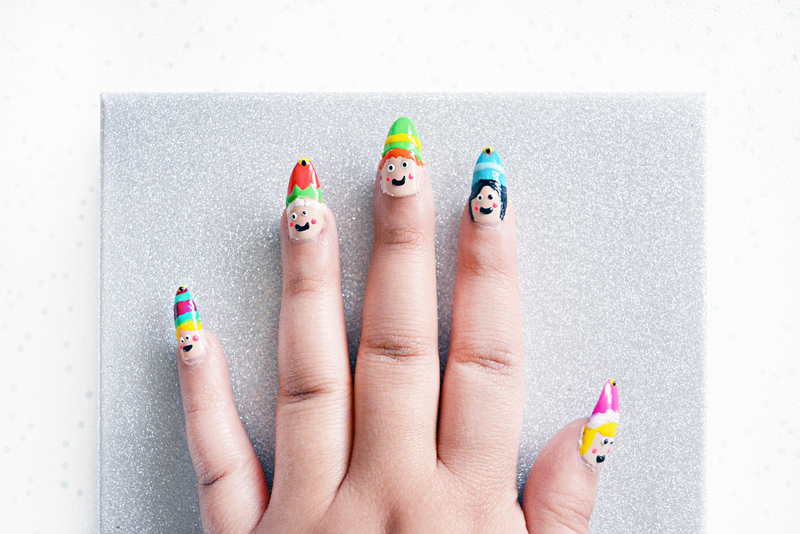 I also used my nail art pens to make yellow dots on the rest of the elves' hats, to look like little jingle bells! Step 6: Finally, to bring your little elves to life give them cute faces! Using a nail art pen, or dotting tool make two pink dots either side for cheeks, two white dots for eyeballs, two black dots for pupils and make a little smiley face! You don't have to be too steady handed to achieve this look and it's really festive! 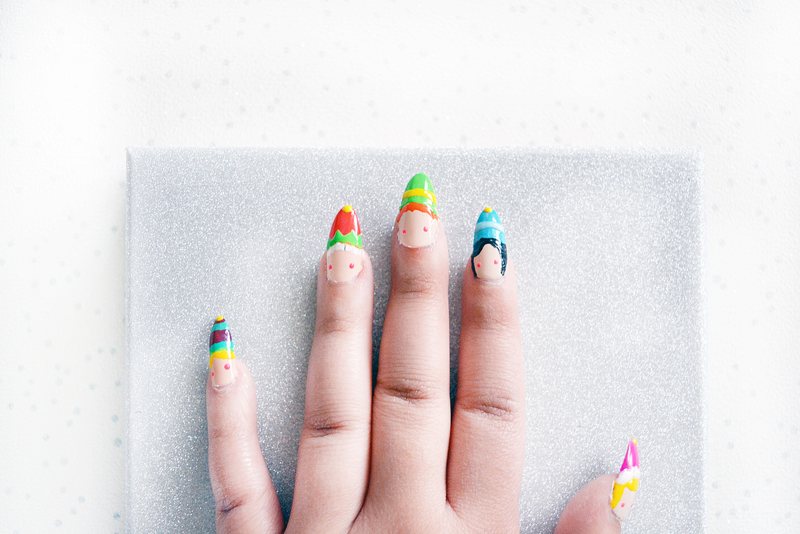 Did you like this Christmas nail art look? Who is your fave elf? These are so cute! Might give them a try for Christmas day. These look so cute! I wish I could do that but I'm terrible at nail art. I can only manage a gradient.